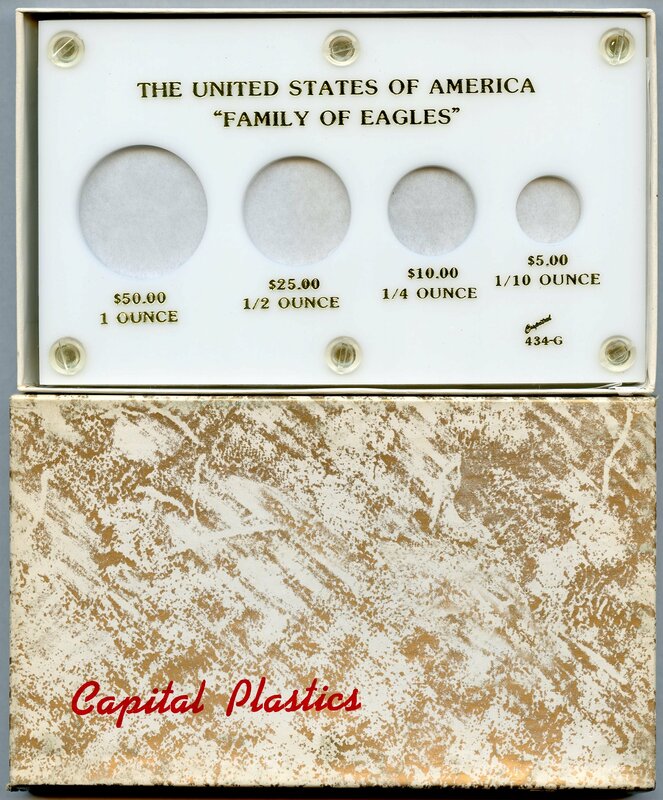 The United States of America "Family of Eagles"
Holder Size: 3.5" x 6" acrylic three panel holder secured with screws. Coin Series: Gold American Eagles issued since 1986. Additional Comments: This holder is designed to display One each of the $50.00 1 oz., $25.00 1/2 oz., $10.00 1/4 oz. and the $5.00 1/10 oz. Gold American Eagles. Gold Embossed Coin Series Title and coin descriptions. Capital Plastic 2" x 7.5" Liberty Gold Type Set $20, $10, $5, $3, $2.50, $1. TYPE I, II, and III.